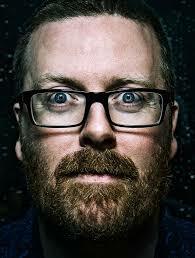 Buy-A-Brick: Frankie Boyle Headlined Laughing For Palestine. Help Buy the Last 2000 Bricks! Posted August 28, 2018, by Daphna Baram & filed under News . Posted August 24, 2018, by Daphna Baram & filed under News . Posted August 6, 2018, by Daphna Baram & filed under News . Posted August 4, 2018, by Daphna Baram & filed under News . Posted July 24, 2018, by Daphna Baram & filed under News . Posted July 22, 2018, by Daphna Baram & filed under News . Posted July 9, 2018, by Daphna Baram & filed under News . Posted July 4, 2018, by Daphna Baram & filed under House Demolitions, ICAHD reports, News . Posted June 10, 2018, by Daphna Baram & filed under News . Posted June 9, 2018, by Daphna Baram & filed under News .